Trendy tunics make you look fabulous, feel fabulous like you are at the height of fashion. 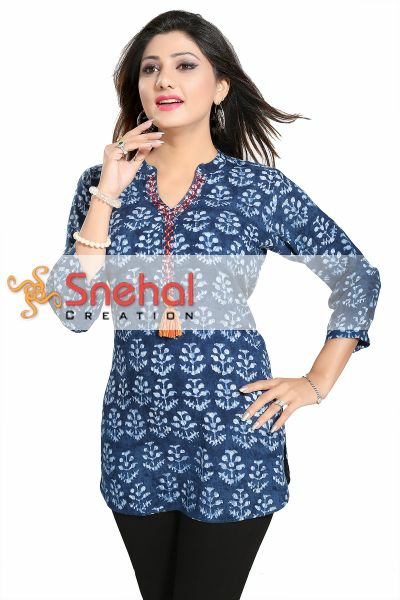 Trendy and fashionable tunic is not only for informal occasions and parties. You can rock your professional life too with the latest fashion trends outfits. Trendy women's tunic tops are available to compliment every occasion be it an official meeting, a wedding or a casual party, in various colors, cuts and with the perfect fit to women of all ages, sizes and body shapes. 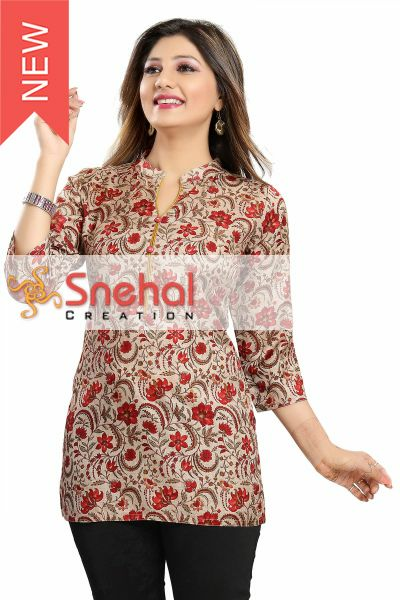 At Snehal Creation store you will find trendy and stylish outfits for your wardrobe at very competitive prices. Every stylish woman is very choosey about what to wear to a specific occasion. You must wear tunic-tops according to a particular occasion and make sure that you feel very comfortable in the outfit that you wear. Every woman has been gifted with a unique body shape which makes it important to choose carefully the dress that suits you best. Also a careful selection of trendy clothes gives you a slimmer look. Fashionable and trendy tunics for women capture the spontaneous and attractive attitude. So for fun, pleasure and enjoyment shopping is the best choice for every woman. It also helps you to come out of stress when you feel stressed. Also you can find latest fashion news at our online website. You will get the wonderful ideas about trendy and stylish clothes to make you stand out of the crowd. At our online store, you will find a wide variety of trendy tunics latest in the fashion industry inspired by the celebrity, with the antique accessories. 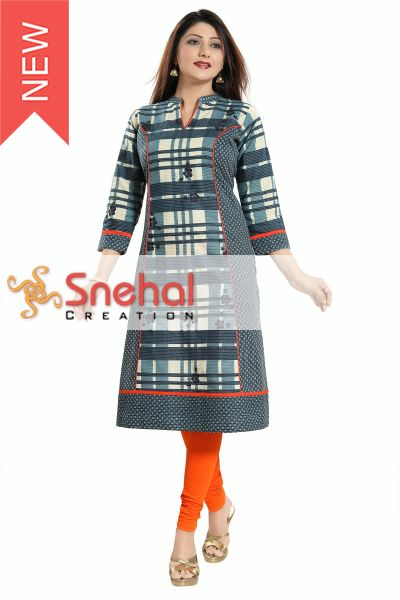 There is a huge collection of fashionable tunics, kurtis, leggings and designer dresses to choose. The best feature of these outfits is that besides being super trendy and of high quality, they are still affordable. So select the best one for you to remain always attractive, pleasant and fashion-forward! Tunics have been in trend for several years now and are definitely here to stay. The reason for their popularity is mainly the comfort that they provide. The length of the tunics varies from the hips to the calf and can be worn with a variety of bottoms. Today, you will find a variety of tunic tops in the market for every occasion, be it casual or formal. 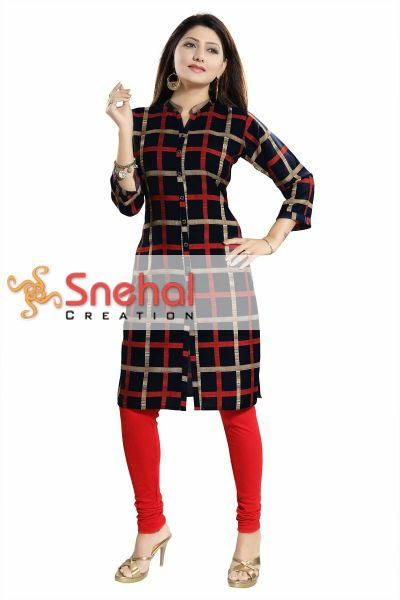 Tunic tops are available in the form of hip length blouses, sweaters, shirts and some are knee length too. They are found in different types of fabric including cotton, silk, linen, chiffon, georgette, etc. Whatever maybe the length or fabric of the tunic, it is supposed to be loose fitting. This is the reason they are extremely comfortable to be worn on any occasion or season. The beauty of the tunic top is emphasized with what it is paired with. You can wear a tunic shirt with trousers for a formal or professional look. Tunic tops are normally worn with leggings or jeggings and it is best to avoid jeans unless they are the straight fit ones. Loose fit jeans worn with tunics can make you look bulky as the tops are loose fit too. Apart from leggings, many also pair hip length tops with a nice pair of shorts for a casual and relaxed look. Tunic tops are fashioned in different ways today. While the simple, plain ones in different colors are really popular among women, tops with pearls, embroidery and other such kind of intricate work also look great. Moreover, they are available in different patterns too, making it easier for you to choose those that fit your body type and look good on you. 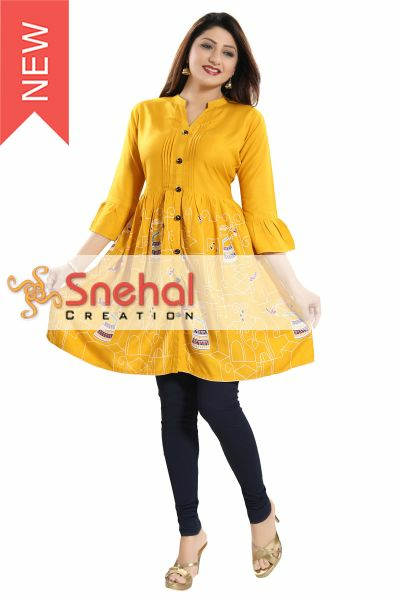 We at Snehal Creations offer a variety of tunic tops for women and girls and at the best prices too. Browse through our collection and choose the perfect tunic tops for you.